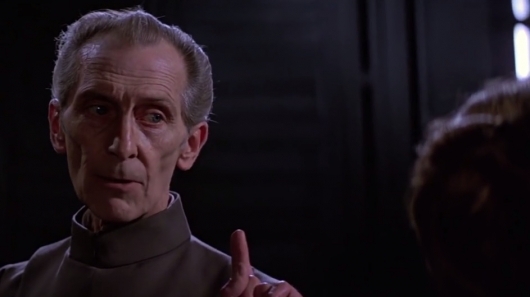 ‘Star Wars: Rogue One’: Will Deceased Actor Peter Cushing Return Using CGI? We’ve heard about it in the past, using the many existing images and footage of deceased stars to bring them back to life using digital effects for roles in future movies. Debates have been had. Would you want to see Humphrey Bogart make an appearance in a new movie someday? It’s already happening in the music world with the likes of Tupac Shakur and Michael Jackson. Now a new report claims that there are plans in the works to bring Peter Cushing back to life using digital effects for the upcoming Star Wars standalone spinoff/prequel Rogue One. Cushing played Grand Moff Tarkin in the original trilogy, and passed away at the age of 81 in 1994. The character appeared in 2005’s Revenge of the Sith, but played by Wayne Pygram. Tales from the Crypt is an anthology film based on stories from EC Comics. Only two of the film’s stories, however, are from EC’s Tales from the Crypt. 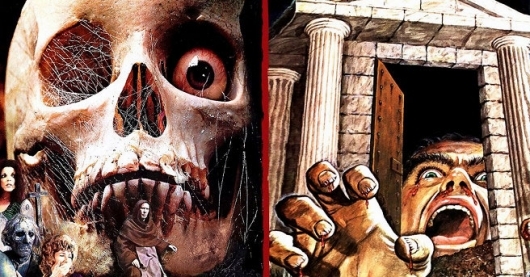 Three of the film’s segments – “…And All Through the House,” “Poetic Justice,” and “Wish You Were Here” – were adapted from The Vault of Horror and The Haunt of Fear comics. Directed by Terence Fisher (The Curse of Frankenstein), Frankenstein Created Woman is the fourth film in Hammer’s Frankenstein series and stars Peter Cushing (Star Wars) as Baron Victor Frankenstein and Susan Denberg as his latest creation. In the film, which was originally released in 1967, a tormented Christina (Denberg) drowns herself after her lover, Hans Werner (Robert Morris), is framed for murder and guillotined. 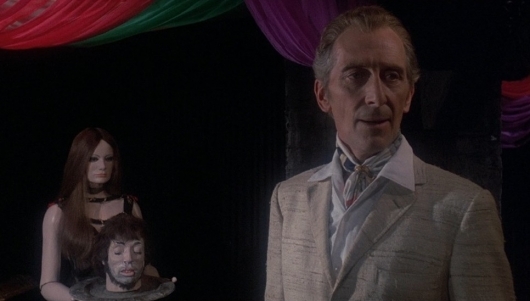 Baron Frankenstein (Cushing), experimenting with the transfer of souls, places Han’s soul into the lifeless body of Christina, bringing her back to life. With no memories of her past life, a body occupied by two souls carries out a violent retribution on those responsible for both deaths. Perhaps the most interesting element of Fisher’s film is that, where previous Hammer productions were concerned with the physical aspects of Frankenstein’s work, the focus here is in the metaphysical dimensions of life, such as the question of the soul and its relationship to the body. 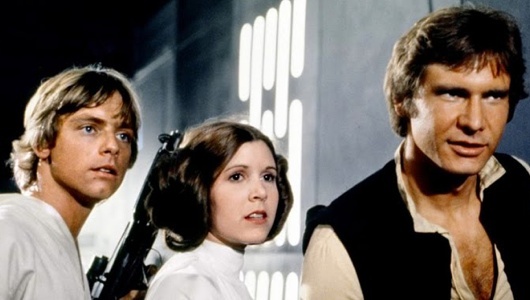 A long time ago, in a galaxy far, far, away, Harrison Ford, Mark Hamill, and Peter Cushing forgot their lines, Chewbecca obstructed Alec Guinness‘ view, and other hilarious mishaps happened while on the set of the original Star Wars movie. A new two and a half minute Star Wars blooper reel has made its way online, and it just gives us a look as to what happens when things don’t go as planned — seeing the Stormtroopers take a few stumbles, Peter Cushing embrace Carrie Fisher when he forgot his lines, and Harrison Ford eat his microphone when he flubbed his lines just shows that even the Force can’t help them remember what is going on. The video also shows how far technology has come. But the costumes and set pieces still remain to be some of the most convincing things about the film, despite how primitive it may look today. Hit the jump to see the full video. 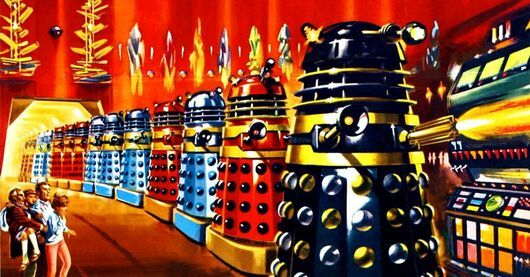 Thanks to my DVD subscription to Netflix, I’ve had the splendid opportunity over the last couple of years (as other fans have no doubt) in being able to rediscover and revisit some episodes of Classic Doctor Who, some of which I’ve not seen in decades. In the course of these nostalgia trips, I began noticing that there were quite a few actors who were popping up in many of the classic serials that had also played a role in some of the Star Wars films. On top of that, there has been some Star Wars actors show up in the new series as well. About a year ago, I came across a few submissions at the Doctor Who Subreddit over at Reddit.com – notably this one and this other one – showing the crossover of Doctor Who actors who had also been in Harry Potter. Consequently, in the lead-up to the premiere of Series 7, I decided to put together a bit of a timey-wimey infographic matrix thingy that looks at the crossover of actors between Doctor Who and Star Wars. Hope you like it, and feel free to let us know your thoughts in the comments below. Sometimes you see things that simply blow your mind, and today, my friends, you shall see just that. An artist by the name of Jordu Schell recently completed work on a life-size bust of infamous Star Wars villain, Grand Moff Wilhuff Tarkin, who was played by the late, great British actor, Peter Cushing. His work is so mind-bogglingly realistic, you have to see it to believe it. If you had this in your home and woke up late one night for a bathroom run, you would no doubt think that Tarkin had returned, and that he wanted your flat screen. Click on over to the other side now to see the amazing life-size Grand Moff Tarkin bust, and to check out a very cool video of Schell showing off his talents to some visitors from DreamWorks! 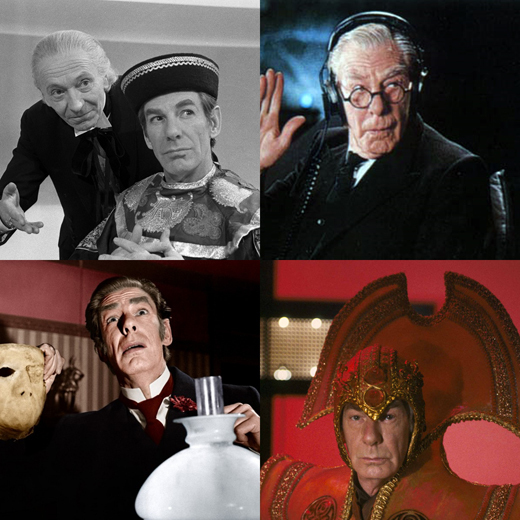 Sad news across the world for geeks today, as word has reached us that the wonderful actor, Michael Gough, has passed away. He was 94 years old. To most people, Michael Gough was well known for his role as Alfred Pennyworth in the 1990’s Batman movie series, beginning with Tim Burton’s Batman in 1989 and right through Joel Schumacher’s Batman & Robin in 1997. However, this wasn’t Michael Gough’s first involvement in a franchise loved by geeks internationally. A very young Gough appeared as The Celestial Toymaker in Doctor Who back in 1965. The episode, The Celestial Toymaker, saw Gough act with the First Doctor William Hartnell. He would later appear with Fifth Doctor Peter Davison, playing a different role, in the episode Arc of Infinity.